16 Oct 10% OFF WEDDING SPECIAL! 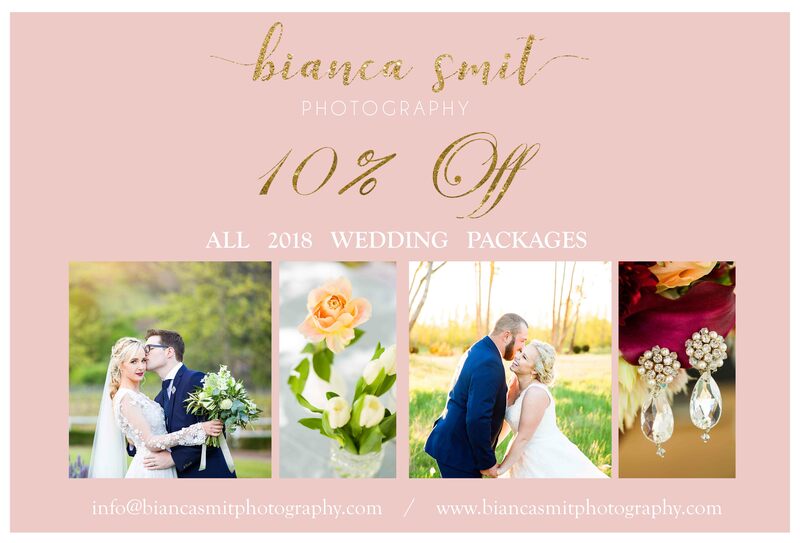 10% OFF 2018 WEDDING SPECIAL!!! As my Birthday is in 18 days, I’ve decided to run this SUPER AWESOME SPECIAL – I mean, who doesn’t love a good special? It will be my LAST Wedding special/discount for this year. 10% off ALL 2018 Wedding Packages <3 This special will run until end of November 2017. T & C’s may apply.